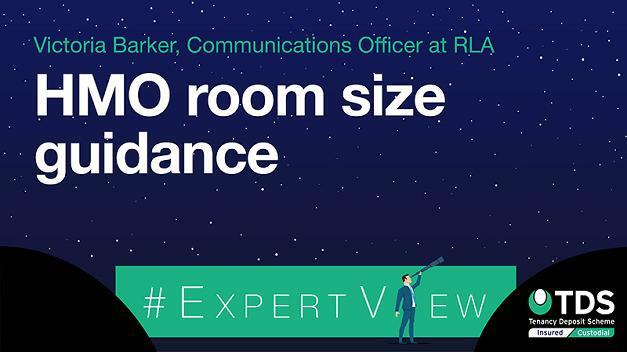 In this week's #ExpertView, Victoria Barker, Communications Officer at the RLA, looks at new guidance that has been published by the government for councils on HMO (House of Multiple Occupation) minimum room sizes, and how it clears up a concern some landlords had when it comes to HMO room sizes and tenants who are pregnant. It has been over three months since the government introduced new minimum room sizes for HMO properties. From 1 October 2018, councils have imposed conditions relating to the minimum room size which may be occupied as sleeping accommodation when granting a licence for a HMO property. The conditions apply to all licences granted on or after 1 October 2018, including the renewal of existing HMO licences. Not less than 6.51 m2 for one person over 10-years-old. Not less than 4.64 m2 for one person aged under 10 years. Designed to tackle the dangerous issue of overcrowding, the new minimum room sizes were welcomed at the time by the Residential Landlords Association (RLA). However, the RLA also had concerns with the new room standards that the recent changes could have led to landlords being in breach of the law where a pregnant tenant gave birth. Specifically, the concern was that the changes could have seen councils required to take action against landlords where a tenant gave birth, and as a result there were two people in a room sized for one. A landlord who sought to evict in this scenario would be carrying out unlawful discrimination. The new government guidance, which was published in December 2018 and can be accessed here, addresses these concerns. It notes that in instances where a tenant has given birth to a child since moving into a House of Multiple Occupation, there is an expectation that local authorities will not be acting in the public interest if they commence a prosecution. “The government has clearly listened to our concerns”. Are you looking for more information about the HMO minimum room size change that came into force in October 2018? The RLA has produced a guide for landlords which explains all the changes in detail. Click here to ready the guide. We have also announced our 2019 classroom course dates for our Principles of HMO course. With dates around the country, you can book your place here. Victoria is the Communications Officer for the RLA. She is responsible for producing articles for our Campaigns and News Centre, the weekly E-News newsletter and media review, and creating social media content. She also contributes to our members magazine, Residential Property Investor. RLA has over 30,000 members nationwide, with a combined portfolio of over a quarter of a million properties. Home to a growing community of landlords, the RLA delivers day-to-day support, expert advice and government campaigning, plus a range of high-quality services relevant to their landlord’s needs.